Take a stand against the elements. 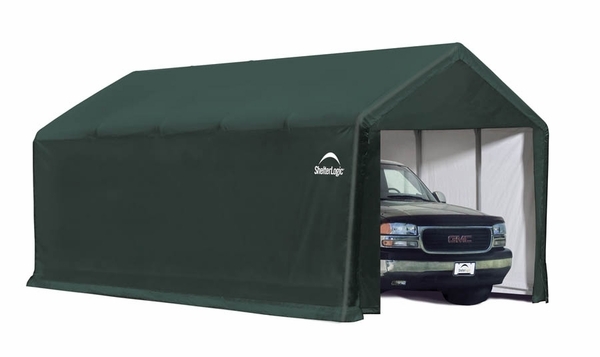 Use the best portable shelter to shield your important machinery by choosing ShelterLogic. Could you please tell me the height of the sidewalls? 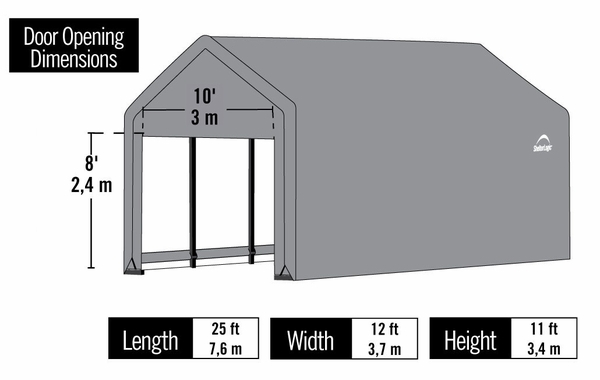 Also, what is the pitch of the roof and the total height of the opening? I need 9 feet for a trailer. Would this fit? The height of the sidewalls is 10 feet. Per the manufacturer, the pitch is 4.8.